A joyful community music making experience - singing together, moving together, laughing and breathing together. People all over the world... join hands... 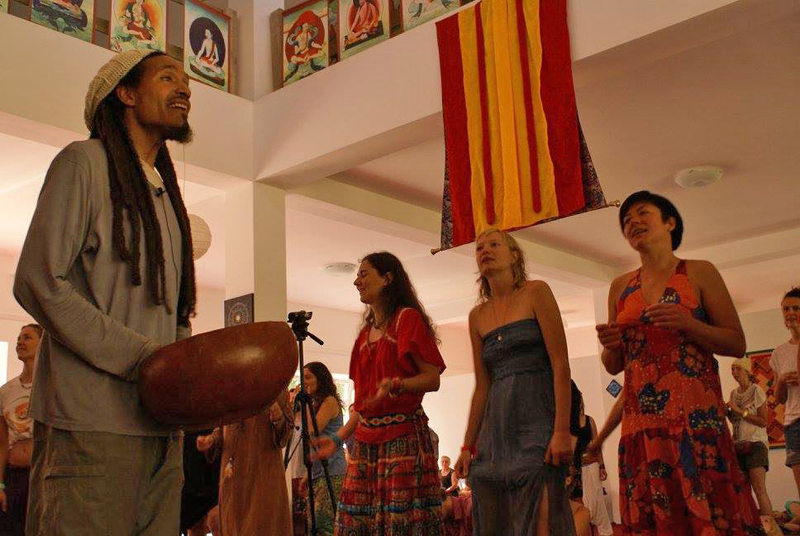 This workshop will be a community music making experience in which we will be learning and singing mbira songs, moving together, and even breathing in rhythms. We will also play with African vocal textures such as yodeling, and other rhythmic textures. We will "musicalize" and "rhythmatize" everything we do at the core and essence of sound and motion. There's no better way to learn to play something than to be able to say it, and to go a step further - to breathe it! Afrikan mbira songs (and many other Afrikan songs) are often sung in interlocking, interdependent vocal parts just as the instruments are also played in interlocking, interdependent parts. The song becomes richer as people join in, and everyone's contribution becomes important to the song. 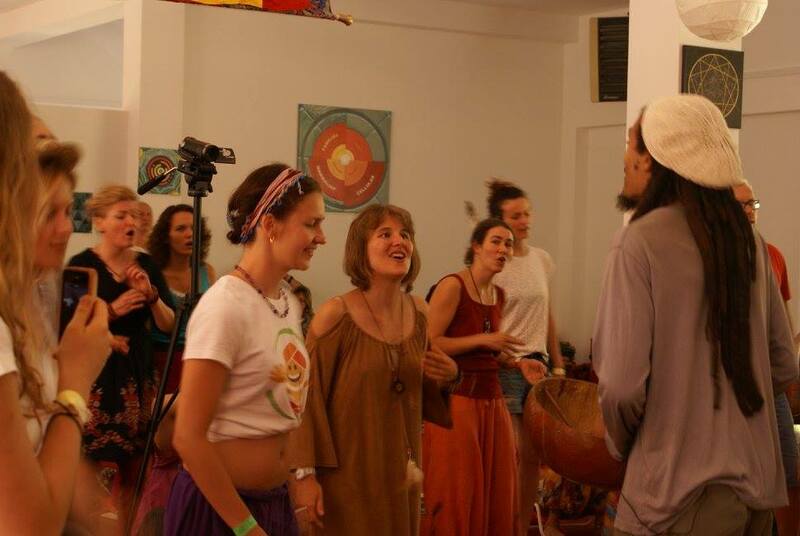 In this way the music becomes a picture of a harmonious, synergistic, symbiotic community. Kevin Nathaniel Hylton graduated Yale University in 1982 as Scholar of the House for fine arts. He has since devoted himself to music – African music in particular. He performs on several traditional African instruments and builds them as well. Kevin is a known composer of African-inspired contemporary music. He writes songs, lyrics, poetry, and essays on music and instruments. He has composed and recorded for the audio version of Alice Walker’s Possessing the Secret of Joy, for the film Beloved, as well as several documentaries. His workshops and lecture/demos have been presented at Lincoln Center, Juilliard, University of Michigan, Wesleyan University, and several other institutions. In 2005 he and Hasan Bakr were commissioned by Carnegie Hall to write and direct the fall Family Concert titled “DIndinyaa”. As an advocate for African culture he has been called the “Johnny Appleseed” of the mbira because he has taught tens of thousands of people all over the world the art of mbira making and playing. 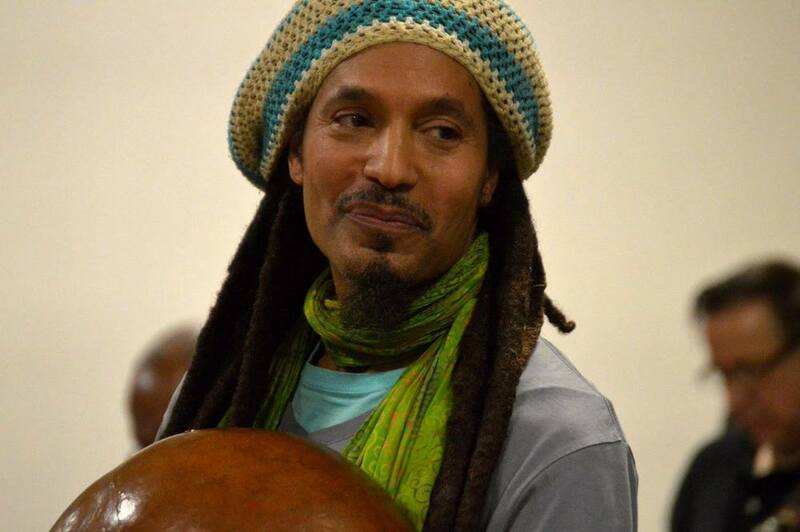 Trained musically in the ancient master-disciple tradition, Kevin is an accomplished percussionist and well-known specialist on the mbira and the shekere. He worked extensively with Zimbabwe’s mbira legend Ephat Mujuru, and with master drummer Chief Bey. Along with 9 recordings he has produced, his music is also available on the Narada collection “African Voices”, and the Ellipsis Arts release “African Dreams”.